Horsforth Gardening Services was established in 2000 and has a wealth of experience in creating distinctive gardens and landscaping projects. Initially trained by the Royal Horticultural Society (RHS) and being an established contractor to Leeds City Council (Environmental Services). 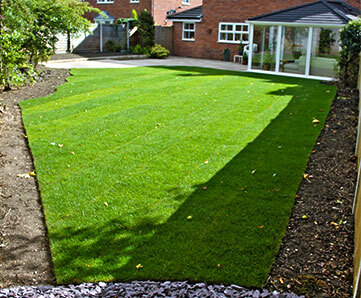 We are capable of dealing with all aspects of domestic and commercial, gardens and landscape projects, covering Leeds North, Harrogate and all surrounding areas. Very reasonable quote. New fences erected and new patio and paths laid. Work carried out to a high standard in a very professional manner. Team arrived on time each day and when job was finished everywhere was left in clean and tidy condition. Would thoroughly recommend and will certainly use again if and when required. I received a very reasonable quote from this business and was impressed with both their standard of work and the quality of their advice. The garden was a wilderness but is now much admired. I have no hesitation in recommending them. Rod and his co worker replaced some fencing and put in decking. The quality of the work and the materials is really high. They arrived on time each day and completed the work to schedule. The team were professional throughout and I have no hesitation in recommending them. Horsforth Gardening Services gave me exactly what I needed to get my new garden off to a good start, from initial advice to prompt and efficient completion. Highly recommended.